According to estimates, it was some 2.9 million who marched yesterday – the largest protest march in US history, and completely dwarfing the inaugural turnout. The brewing movement is just one side of the problem for US capitalism. 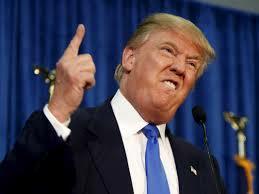 The other side is his opposition to the Trans Pacific Partnership. This opposition not only hinders increased corporate control over society; it also is a major obstacle to stopping the growing influence of US capitalism’s main rival: Chinese capitalism. Then there is his support for the breakup of the European Union, which would destabilize world capitalism and give increased influence to the other important capitalist rival: Russian capitalism. On top of that, there are his other proposals, such as to build “the wall”, support for the most radical right wing in Israel (which weakens US influence in the entire region), etc. And to think that it all started when two individual women posted notes on Facebook suggesting this march. But it was not just any two women: Teresa Shook is a retired attorney. When she posted her note, within 12 hours there were 10,000 replies. At the same time, Bob Bland, a fashion designer and entrepreneur in New York, posted a similar idea. Bland already had several thousand followers on FB due to some Planned Parenthood T-Shirts she’d designed and was selling. Tamika Mallory, who is founder of Mallory Consulting and worked closely with the Obama Administration; Carmen Perez, executive director of a non-profit; Bob Bland, CEO and founder of Manufacture New York; and Janaye Ingram, who served as executive director of National Action Network (NAN, founded by Al Sharpton; several others on this team had links with NAN.) As it developed, the liberal wing of the Democratic Party got involved. Ron Bonta, Democratic state assembly member for the Oakland area, sent out an e mail to his constituents urging them to attend for example. So we can see that from its inception, this event was politically connected. That is part of why it took off so much, in addition of course to the fact that it really tapped into a mood in the US. Trump and the Republicans moved quickly. Even before his taking over, the Republicans moved to allow Corporate America even greater freedom to pollute the environment. On the very day that Trump took office, his team eliminated all references to “global warming” as well as “LBGTW rights” on the White House web site as this shows. In addition to these connections, the union leadership mobilized its members. The Carpenters Union leadership, for example, made robocalls to their members throughout the US, urging them to attend the protests. Significantly, the president of this union – Doug McCarron – just a month or so earlier had written a letter to the membership saying that the union would try to “work with” Trump (as did AFL-CIO president Rich Trumka), and normally the Carpenters Union leadership avoids any mobilization of its membership like the plague. What accounts for this turnaround? On the one hand, the union leadership was watching Trump’s appointments, most particularly the appointment of Andrew Puzder as Secretary of Labor. Normally this position serves as the link between the administration and the union leadership, but the appointment of Puzder serves as a declaration of war not only on the membership but on the leadership itself. Coming from the fast food industry, Puzder even opposes the very idea of a minimum wage. Together with the most right wing congress in many decades, this could mean the passage of a national “right to work” (for less) law. There was also another factor: An overriding concern for the mainstream of US capitalism continues to be its political stability. So, for example, we saw Obama’s concentration on a “smooth transition of power” from his administration to Trump’s. It might be largely symbolic, but symbolism counts for a lot in how people see things. That stability is impossible if it is discredited in the eyes of large sectors of the population. The Democrats and their lieutenants – the union leadership and the non-profiteers – knowing that a movement was likely coming had to ensure that it did not break the bounds of dependence on the liberal establishment. First and foremost, this meant that the inevitable protest in Washington DC on the day of the inauguration would not be so massive that it would disrupt this “smooth transition”, that the symbolism of the inauguration would not be disturbed. Just imagine what would have happened if instead of some 10,000 or so, hundreds of thousands had descended on Washington DC to jeer and boo Trump as he took the reigns of power. Just imagine if they had disrupted everything to the extent that clouds of tear gas drifted over the city and Trump, Obama and Company had been driven indoors to carry out their symbolic ceremony in a semi-private indoors setting! 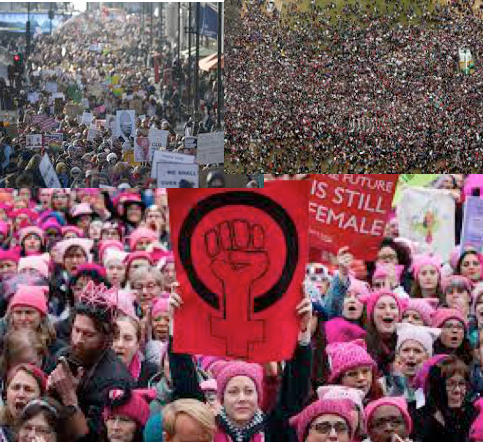 The organizing of the Women’s March helped ensure that tens of thousands would delay coming to Washington until the day after the inauguration! This is linked with the overall necessity of the liberal establishment to draw this movement into Bermuda Triangle* into which movements enter and are never heard from again – the clutches of the Democratic Party. So we saw Oakland Mayor Libby Schaaf, who is presiding over and represents the gentrification and whitification of Oakland, speaking at the march in Oakland. And such Democratic liberal icons as Elizabeth Warren, a supporter of Hillary Clinton, speak in Boston’s event. 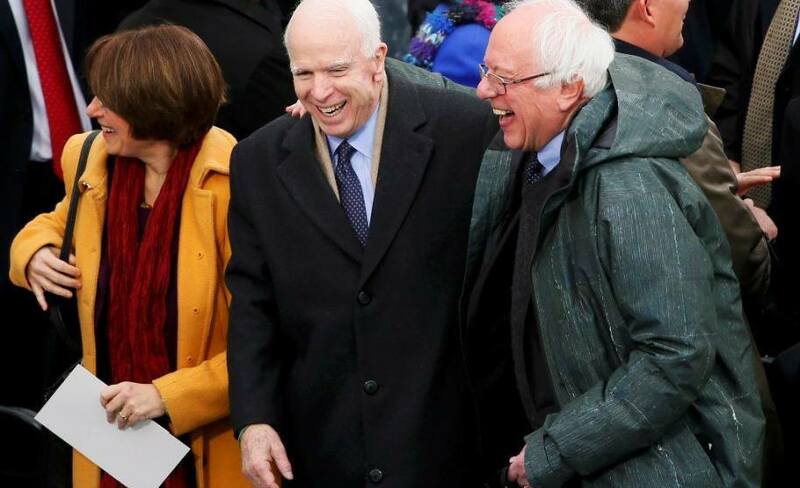 In general, and as the Wall St. Journal put it, “Democratic Party’s Next Generation of Leaders Appear at Protests”. In a way, although there are some fundamental differences, there is a symmetry between the rise of this movement and the Tea Party movement. The Tea Party originated as a “grass roots” movement of the right, not directly connected with any major political party. It could not continue this way, and soon it came under the wing of the Republican Party with a more radical wing moving towards overt racism, for example. Similarly, the liberal wing of the Democratic Party, along with their lieutenants, is moving quickly to take control of this movement on the left. The difference is that the more radical wing of the resistance to Trump and the Republicans will have to be outside the control of and opposed to the representatives of the rulers of America in general – the owners of capital. In other words, the US capitalist class. The great majority of those who were at yesterday’s protests seemed to think that they can get the liberal wing of the Democrats to represent their interests. However, that wing is simply the bait for the trap. As New York State Attorney General Eric Schniederman put it at a recent Democratic Party conference: “We’re not trying to get everybody on board a specific path.” In other words, they are happy with the “big tent” that draws working class and middle class people and organizations into a party controlled by the owners of capital. Build community and work place based committees of resistance to oppose and prevent deportation of undocumented immigrants, attacks on women and people of color, etc. This would be done not just in words, but in deeds, through mass action in the streets and work places. Build a rank and file movement in the unions to get the leadership out of bed with the Democrats and the employers and make the unions really fight for the members. Oppose concessionary contracts and collaboration with the employers on the job. 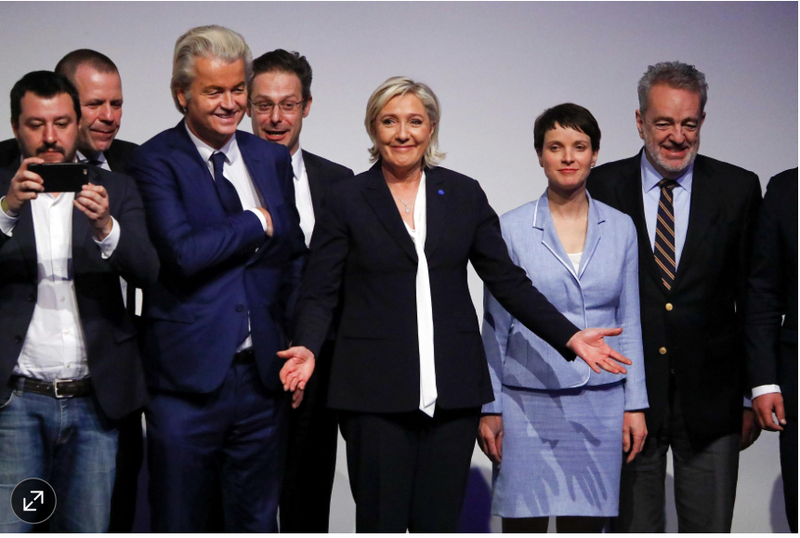 Leaders of the European far right racist, chauvinist parties meet in Germany and celebrate the taking of power by Trump in the US. and right wing events like Brexit (see this article, for example) and the rise of the far right parties in Europe as well as the crisis in Syria, what happens around the world affects us in the US and vice versa. Work together to organize a broad, working class, socialist opposition to the attacks of Trump and of capitalism in general – an opposition that can coordinate and help organize this struggle nation wide and beyond, independent of all the forces of capital. Such an organized opposition could be the embryo of a mass working class political party in the US – the alternative to the Democratic Party quicksand. * The “Bermuda Triangle” is a triangular area just north of Bermuda whose peculiar convergence of ocean currents and weather patterns has caused several ships, boats and small planes to disappear, sinking to the bottom of the ocean. In general, the exact cause of their disappearances has been a mystery. It’s similar with the Democratic Party, the NGO’s and the union leadership in relationship to social protest movements; these movements have tended to disappear into this convergence of forces.